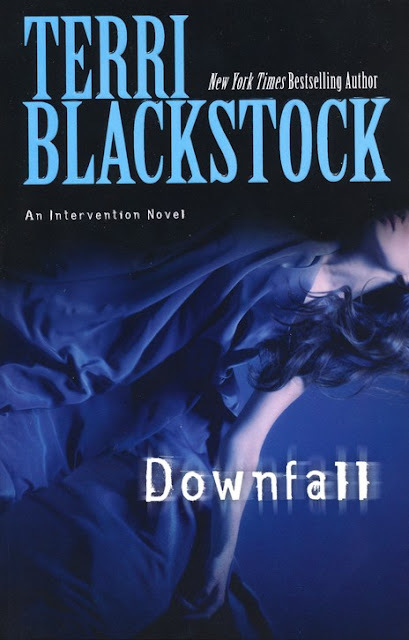 Murder mysteries are not generally the genre I read, but I really enjoyed this book by Terri Blackstock. It's not only a murder mystery you see, there's so much more going on. First and foremost is the story of Emily trying to rebuild her life after overcoming a drug-addiction, and her also her mother's struggle with learning to trust her daughter and God. Then there is EMily's younger brother who is beginning to have to fight the same temptations his sister succumbed to years ago. Then the murders begin to pile on and suspicion falls on Emily. Now here is what I loved about this book. Her mother and her brother may be struggling with everything that's going on, but Emily stands firm in her faith in God and in her belief that she is a new creature and He will take care of her. How I envied her faith! Especially after all she had been thgrough. Or maybe it was because of all she had been through that she was able to trush the Lord so completely. I took a lot from this book. The mystery is also greatly written, after all Terri is a master in this genre, and kept me guessing until almost the last page. But, as I said before, the book has so much more to give than an edge-of-your-seat murder mystery. It is about trusting God where nothing seems to be making any sense. When even your life is on the line. I received this book for review from Zondervan.